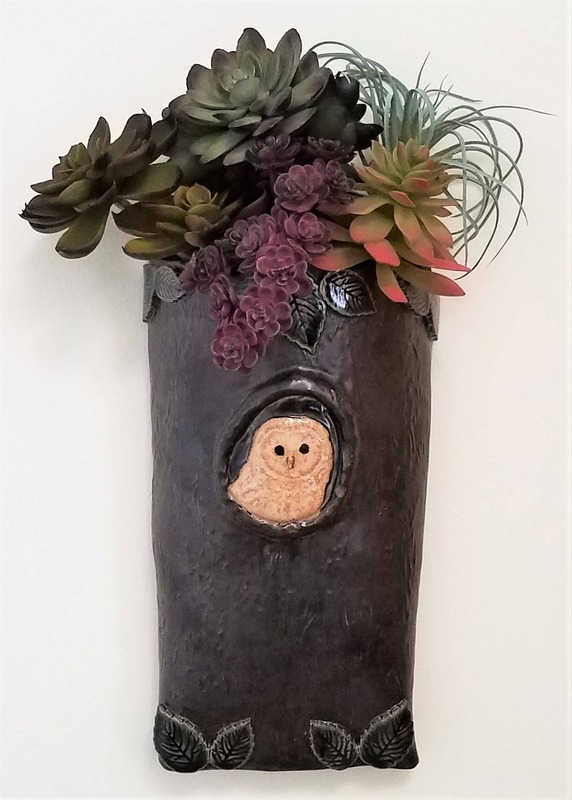 Whoo wouldn't love a hanging wall vase with an owl sitting in a tree? 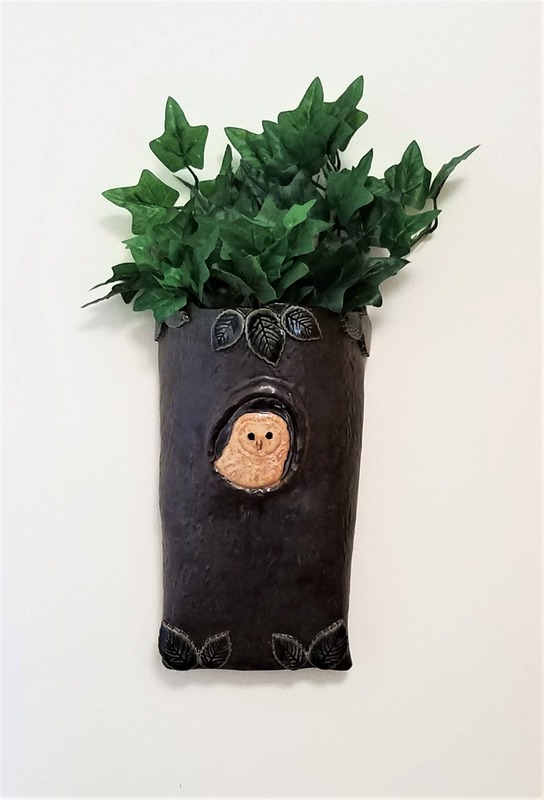 Add a touch of whimsy to your decor with this handmade owl wall pocket. Makes a great gift for any owl lover. 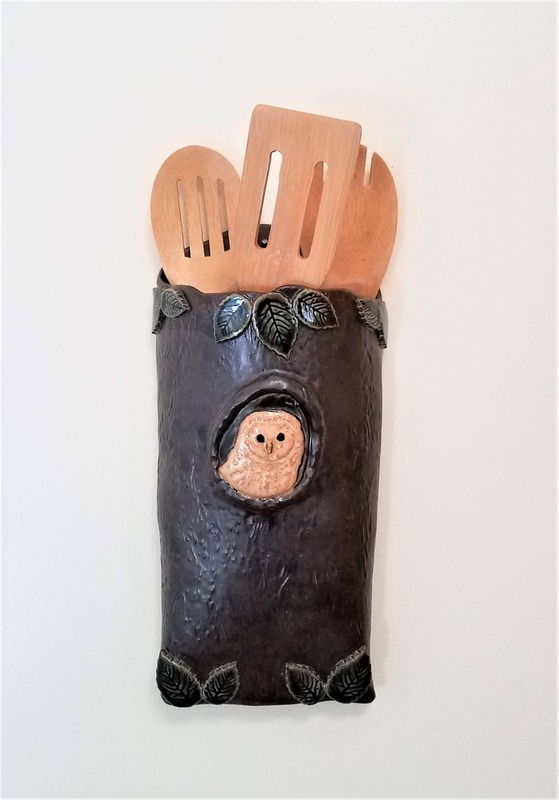 * Hang it in your kitchen to hold cooking utensils. This ceramic wall vase has a tree bark texture. 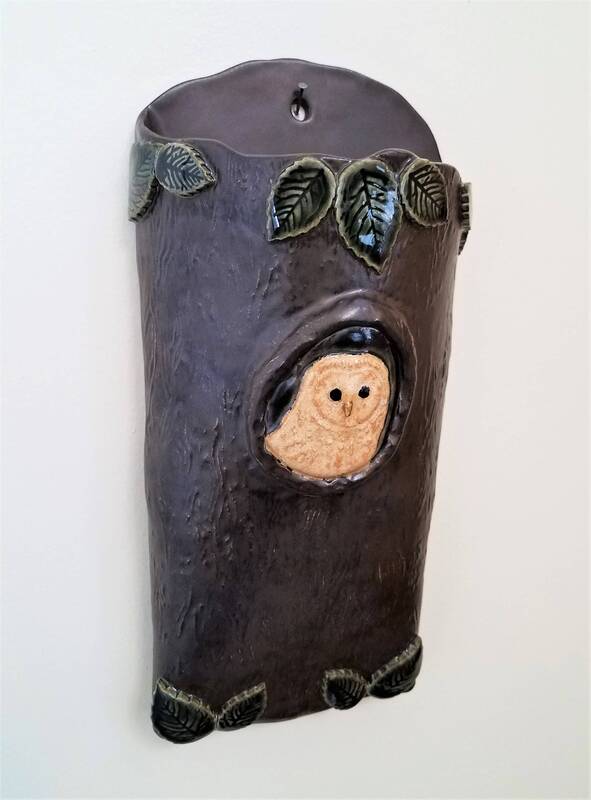 It was glazed in dark brown and features an owl sitting inside a hole in the tree. 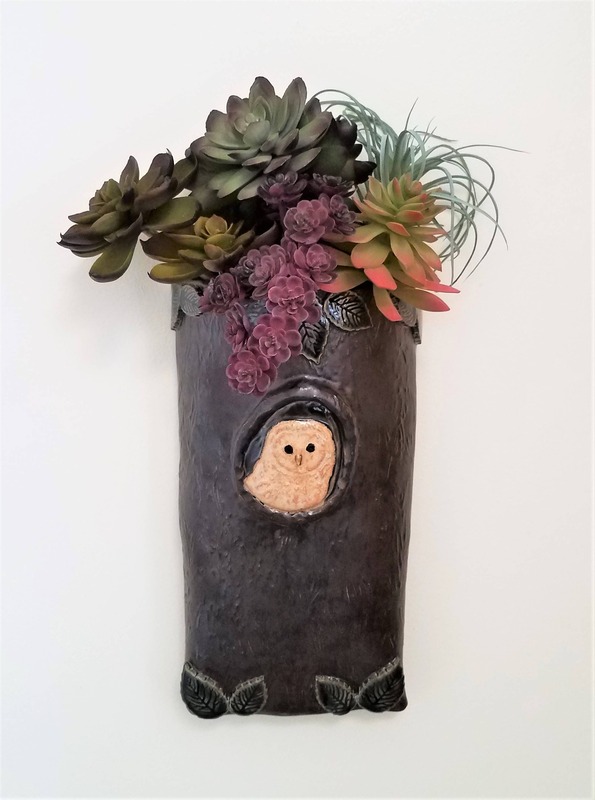 This wall pocket is accented with green leaves. This is a water-tight vessel and measures 11" in height (total), pocket is 9.5" in height x 2.75" in width at the top. Need a nice gift for a friend? You'll be appreciated and remembered every time they see it in their home! Follow me on Facebook, Pinterest and Instagram!